The Lazy Person’s guide to Saving the World is a resource from the UN might be a great starting place for the Take Action program area of the Girls First program. It is basically a list of actions ordinary people can take to make a positive impact on the world. The actions are divided up into 4 categories: category 1: Things you can do from your couch, category 2: Things you can do at home, category 3: Things you can do outside your house and category 4: Things you can do at work (many of which would also apply to school). It would be interesting to ask the girls which of the things they already do? Which would be easy changes for them? Which would be hard changes for them or their families? This could really vary between girls, and their family circumstances. One girl may be eating a vegetarian diet so cutting back on meat is easy, but the same girl may live out in the country where walking or taking transit is difficult. Another girl may be a city dwelling meat lover. It is important not to make one girls feel uncomfortable about her family choices, but to make them think about what is possible for them to change. If you are working on any WAGGGS generated program, I’m sure you’ve heard about the UN Sustainable Development Goals. The UN has a great set of printable resources for these goals including logos, and posters. They are available in both North American and European paper sizes and in any of the six UN languages (English, French, Arabic, Chinese, Russian or Spanish), making this a great resource for bilingual units. There is also a wide variety of videos available. Including this adorable Tomas the Tank Engine video which might be a fun way to introduce Sparks to this rather daunting topic. While tourism often brings needed money to regions the needs of the tourists are not always aligned with the needs of local people. We often talk to our girls about travel and life in other countries. Why not ask the girls what they think it would be like to have lots of tourists coming to their town, taking photos of their homes etc? What can we do when we travel to ensure that the next generation of travelers can also see what we get to see today? 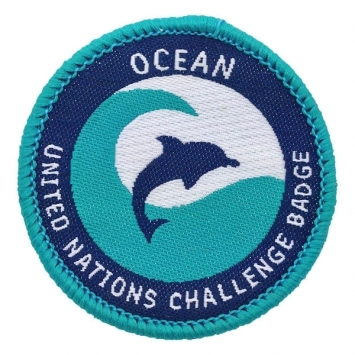 The WAGGGS/UN Ocean Challenge is a challenge developed jointly between WAGGGS and YUNGA to help youth around the world discover the oceans that cover 70 percent of our world. For each section the girls must complete one of the first two challenges and at least one other. Like the other UN challenges this challenge is a extensive 175 page pdf with lots of graphics, data and information to help you complete the challenge with your unit. The crests are available from the WAGGGS shop. 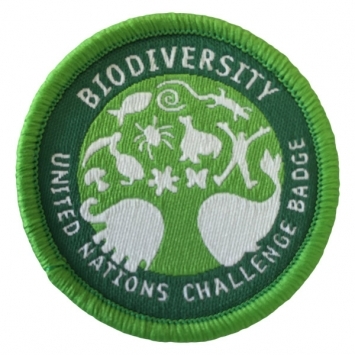 The WAGGGS/UN Biodiversity challenge is another WAGGGS/UN challenge. The booklet contains 74 pages packed with activities. The activities in this pack look more accessible for Sparks then some of the other WAGGGS challenges at the youngest age range starts at 5. 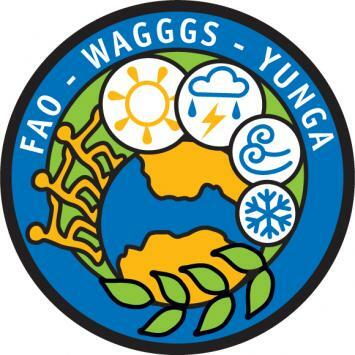 Badges are available from the WAGGGS shop. This is a topical challenge with the recent completion of the Paris Climate talks. The badges are available from the WAGGGS shop. 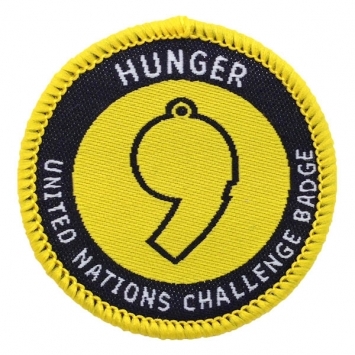 The WAGGGS/UN Hunger Challenge is another extensive challenge from WAGGGS. There are five sections to the challenge: Hunger and the Hungry, The Right to Food, Causes of Hunger, Ending Hunger and Take Action. For each secotion there are activities for 5-10 year olds, 11-15 year olds and 16 plus.